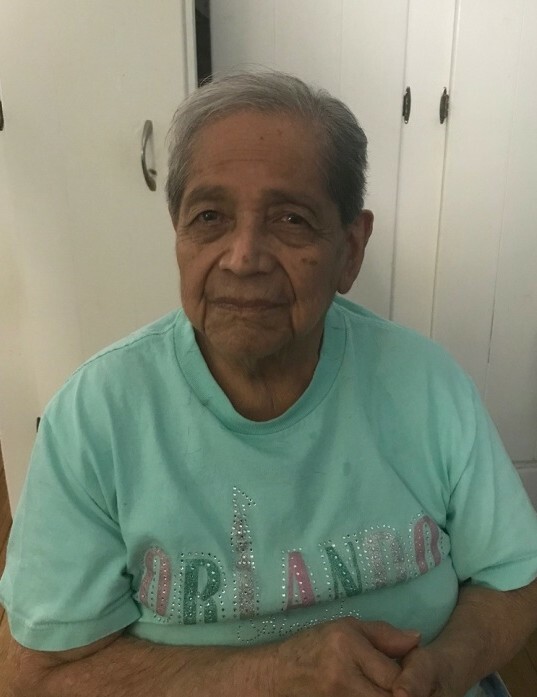 Marta J. Pena, 83, of Framingham died Saturday, March 23, 2019 after a period of declining health. Born in San Antonio La Paz, Guatemala, She was the daughter of the late Pedro & Gertrudes (Flores) Pena. In 1979, Marta immigrated to the US and settled in the Metrowest area. She worked for 10 years as a Certified Nursing Assistant at St. Patrick’s Manor in Framingham. She enjoyed cooking and nature walks, but more than anything loved time with her family. Marta is survived by her sons, Oscar R. Castillo & his wife Justina of Framingham, and Mario Castillo & his wife Melissa of TN, her grandsons, Oscar E., Luis, Jose & his wife Alexandra, Pablo, Ricardo M., Angel, and George L., her great grandchildren, Christian, Nicholas Troy, Gabriella Sophia, Mason, Payton, Julianna, and Monroe, and her brother Fernando Fajardo of Guatemala. Family and friends will honor and remember Marta’s life by gathering for visiting hours in the McCarthy, McKinney & Lawler Funeral Home, 11 Lincoln St. Framingham on Wednesday. March 27th from 4 – 8 P.M. Her Funeral Mass will be celebrated on Thursday morning in St. Stephen’s Church, 251 Concord St., Framingham at 10 o’clock. Interment will follow in St. Stephen’s Cemetery.